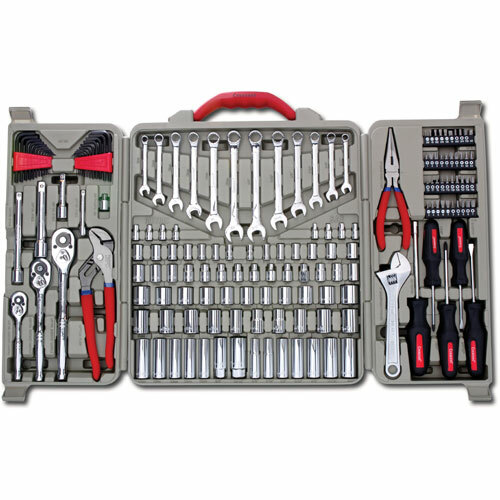 An impressive selection of tools, this set includes the most commonly used SAE and metric sizes for a wide variety of applications. All tools are industrial strength and made to meet stringent ANSI and ASME specifications. Organized inside a sturdy carrying case, each with its own snap-in space, tools are easy to find and set to go anywhere.